Addressing leaks/condensation quickly is crucial to limit damage and costly interior repairs. 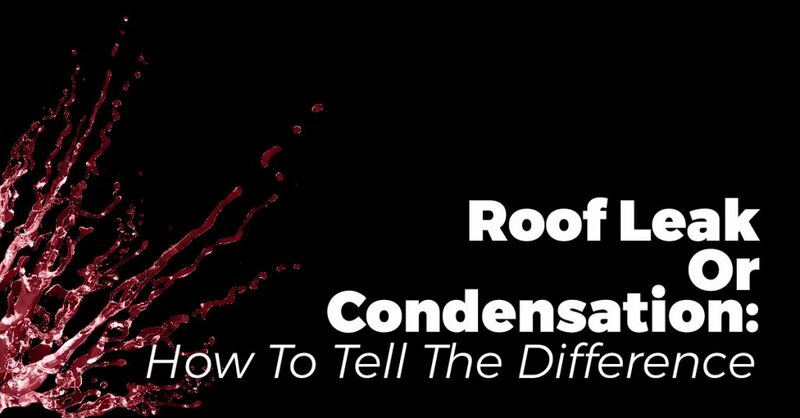 The first step toward a solution is answering the question “is my roof leaking or is it condensation?” Here’s how to tell the difference. Evidence of roof leaks typically shows up during or after a rain. Water intrusions from a damaged/aged roof also tend to worsen over time. If you have concerns about a roof leak or condensation problem in your Grand Rapids home, contact us today at Moore & Sons Roofing.